American Idol 2012 finalist Colton Dixon, 20, from Tennessee, USA, was the one voted off the show's Results Night Thursday, April 19, 2012 (Friday AM, Manila time). For the first time, Colton Dixon landed in the Bottom 3 and unfortunately he was voted off right away leaving Phillip Phillips and Joshua Ledet as the last 2 male finalists on American Idol 2012. Though I put Colton in my Bottom 3 predictions, I didn't expect him to go home, not yet. 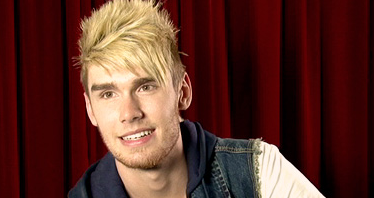 Colton Dixon is considered among the top favorites, having the most number of followers on Twitter among the finalists and was never in the Bottom 3. He actually suffered the fate which could have been for Jessica Sanchez on last week's results if she wasn't saved by the American Idol 2012 judges. And since there's no more "save", Colton Dixon had to be sent home. On this video by Fox All Acess, the judges reacted on Colton's elimination. J-Lo admitted that she didn't want Colton to go because he deserved be in the Top 5, while Randy Jackson implied that if there's another "save", definitely they would have saved him just like Jessica. If you're wondering why there was no double elimination unlike in previous American Idol seasons when two finalists got voted off after a finalist was saved the previous week, it's because of American Idol 2012 finalist Jermaine Jones' disqualification during the Top 12 round. The show would wrap up a week earlier as scheduled if two were booted out last night. So only 1 had to go. I actually predicted right the Bottom 3 for this week, Colton Dixon, Elise Testone and Hollie Cavanagh, but I wrongfully picked Elise as the one goin' home on. As expected, after her fans' agressive campaign to vote for her, Jessica Sanchez was declared 'safe'. She has recovered and the momentum for her is high once again. Same goes for Joshua Ledet, who was also in the Bottom 3 last week. And so far, Phillip Phillips is the only finalist this season who has never been in the Bottom 3.